Only a few spots left!! Apply Now! $1800.00 by December 1st …Pay $600.00 Jan 1st Feb 1st March 1st & April 1st. Jimmy Barkan’s Level I Training was the first to be established in South Florida USA and is considered the top-rated training in this area and beyond. 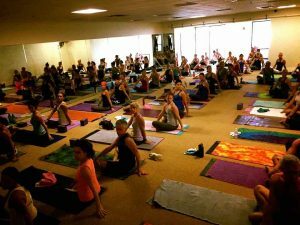 In fact, there are hundreds of students and studio owners around the country and world that got their start with The Barkan Method of Hot Yoga. Jimmy’s extensive experience in teaching, guiding, body alignment and yoga history is what separates & distinguishes The Barkan Method Teacher Trainings from all others. Come and discover what thousands already know – that The Barkan Method of Hot Yoga Teacher Training prepares you to be the best teacher you can be!